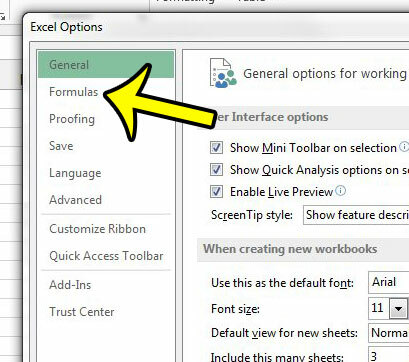 Formulas make it much simpler to compare and evaluate data in your Microsoft Excel 2013 workbooks. 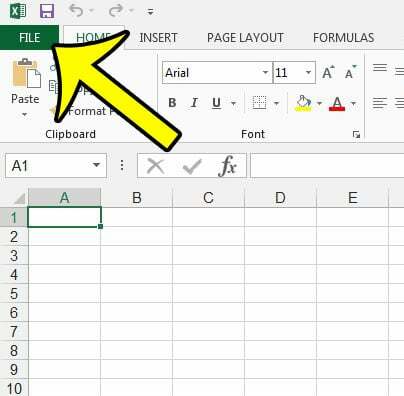 By creating a formula you can enable Excel to perform mathematical functions with the numbers that you have entered into your cells. But the calculation of those functions can be set to occur either automatically or manually, so you may be looking for a way to enable automatic calculation by default if the setting is currently on the manual option. Our tutorial in this article will show you where the default calculation setting is located so that you can switch it to the automatic option. 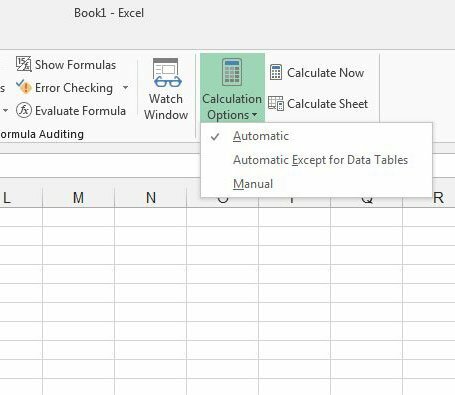 The steps in our guide below will show you how to change the default calculation options for any workbook that you open in your copy of Microsoft Excel 2013. Once you have completed these steps, the formulas in your worksheets will automatically calculate as you update values in cells that are a part of the formula. Click the File tab at the top-left corner of the window. Click the Options button in the left column of the window. Click Formulas in the column at the left side of the Excel Options window. 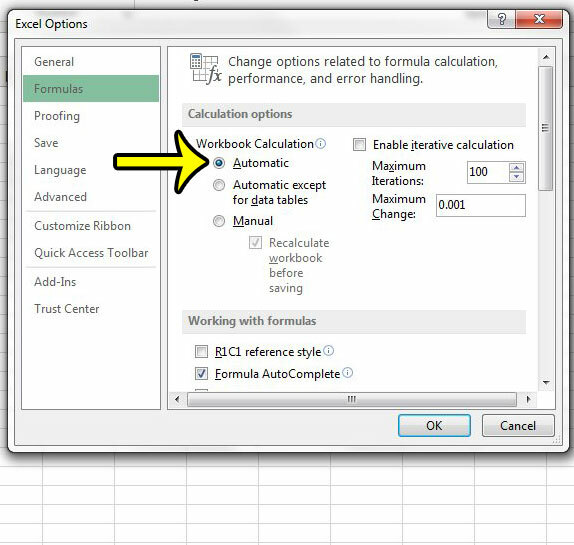 Check the option to the left of Automatic under Workbook Calculation, then click the OK button at the bottom of the window. 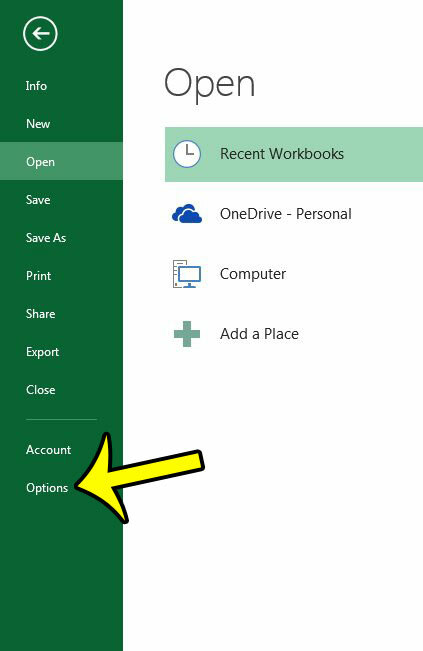 As mentioned previously, this changes the default calculation option in Excel 2013. If you would prefer instead to set the calculation option on a per-worksheet basis, then you can click the Calculation Options button on the Formulas tab and select the Automatic option. Is your Excel worksheet displaying the formula instead of the result of the formula calculation? You can change the formula display settings in Excel 2013 as well so that you can choose what is displayed in cells that contain formulas.